What's your favourite comfort food? In a recent poll, insurer Axa found that a roast is our favourite comfort food, shepherd's pie, chips and lasagne came next followed by spaghetti bolognese, macaroni and Cheese on Toast. 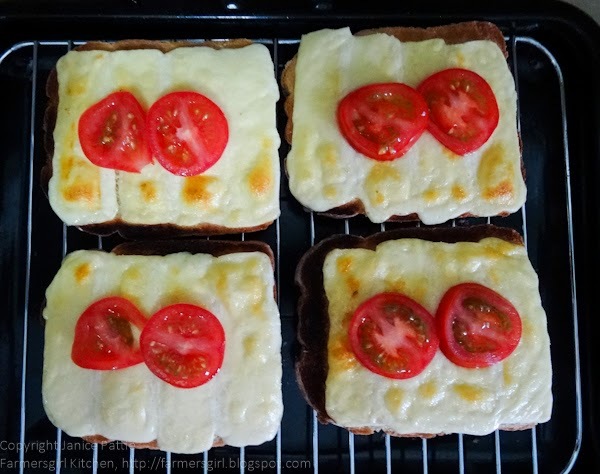 While most of the top comfort foods require a bit of time and effort to prepare, Cheese on Toast can be put together in minutes providing a pick-me-up which, Psychologist Donna Dawson says, reminds us of our childhood as we associate them with family and feeling safe. 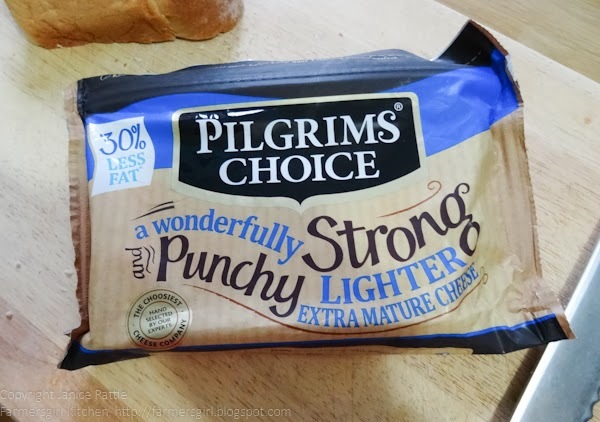 Cheese is usually high in calories and fat, so it's a comfort food you have to take care not to eat too often which is why I was pleased to try out this Pilgrim's Choice Extra Mature Lighter Cheese. It's still matured for 12 months and has the tangy taste you expect from Extra Mature Cheeese, but with 30% less fat than regular extra mature cheddar. I was slightly concerned about how well the cheese would melt as it's the fat in the cheese that melts. However I was pleasantly surprised with the bubbliness and browning I got with Pilgrim's Choice Extra Mature Lighter Cheese. I wouldn't say it had the equivalent flavour of a full fat extra mature cheddar, but it was a tasty piece of cheese with good texture and a good melt. I was supplied with a pack of Pilgrim's Choice Extra Mature Cheese Lighter to review, I was not paid for this post and all opinions are my own. ahh yes, the ultimate comfort food... cheese on toast is where it's at and yours looks particularly pleasing... my comfort food is a baked potato... with lashings of butter and cheese! I really love a good sharp cheddar cheese, so tasty and versatile! Oh yum, I do love a gorgeously bubbling slice of cheese on toast. Seeing yours has definitely given me the munchies! Cheese on toast rocks my boat anytime. Ah, I don't know too much about comfort from food, but cheese is always good for me. Your cheese on toast looks just right. I am here again - in DAYLIGHT hours and on my laptop and NOT my iPad to leave my comments! 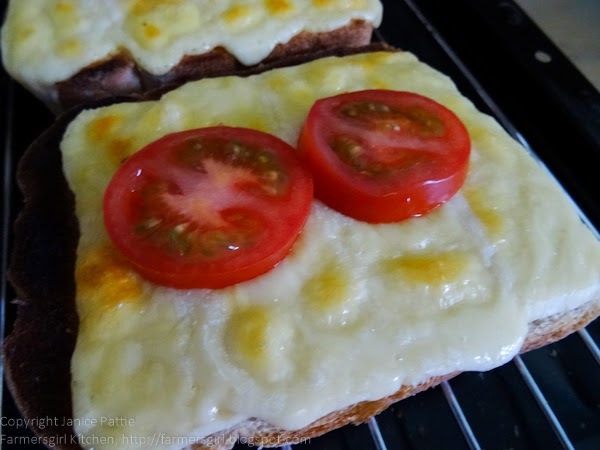 I LOVE cheese on toast, in any form, and this is so good on so many counts, as well as the fact that the cheese is lower in calories! YAY! Glad to see it melts well too! Oh I love cheese on toast Janice. You have me drooling here. Of course it needs lots of black pepper too. I must try that cheese. Oh no, not low fat cheddar - this is just not meant to be Janice. Love cheese on toast though. I love a good slice of cheese on toast. You can't beat cheese on toast for a bit of instant comfort. I actually make it at least once a week round here as the kids can't get enough of it, and of course I always indulge in an extra slice or two. Should probably start buying lighter cheese for myself though! A baked potato is lovely too and really easy to make. Yes, good cheese makes all the difference. Glad you are a fan, I wasn't sure about the lower fat cheese melting but it was really good. It's what we used to eat when we came home from a night out!